Picked up part 1 of the package last Sunday. Followed Richard's instructions and got everything in my tank. Have not seen an ammonia spike of over .25. Was down to zero this morning. Can't wait to see what is in Part 2 on Sunday!!! So I received Part 2 of the Package from Richard on Sunday. Went to his home and picked it up and was in my tank later that day. In the process of cycling. Again have not had ammonia go over .25. This is just awesome LIVE rock. Don't think twice order from TBS. Incredible product and customer service. Everything in my tank is from The Package. I have not added anything to it. Somebody should appreciate what was just said above. That is what Richard sends you in a box of water. Pretty amazing. I am 2.5 years in from my first tbs order. Literally more happy now than I was then. I have several of those tree sponges still living not to mention the gorgs that got too big and I gave away. 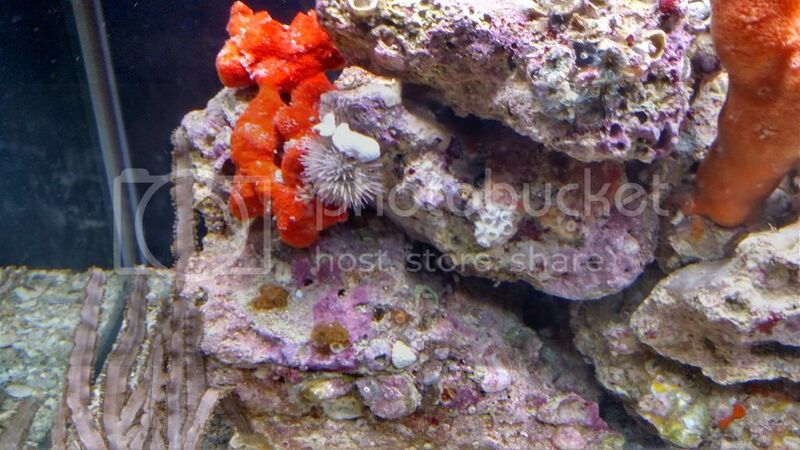 The barnacles and cup corals alone are worth it. 2.5 years in, still find something new every single time I look at the tank after lights out. You will not be disappointed going with TBS! Richard's customer service is legendary as is his rock, sand and "extras". I'm also going to go on record to state this is the best live rock I have ever ordered. Richard goes out of his way for customer service and accomodated my shipping schedule as I travel a lot for work. The extras he supplies are outstanding and I even ended up with a rock blenny in my shipment who is getting fatter all the time. You absolutely cannot go wrong and it is worth the extra money. 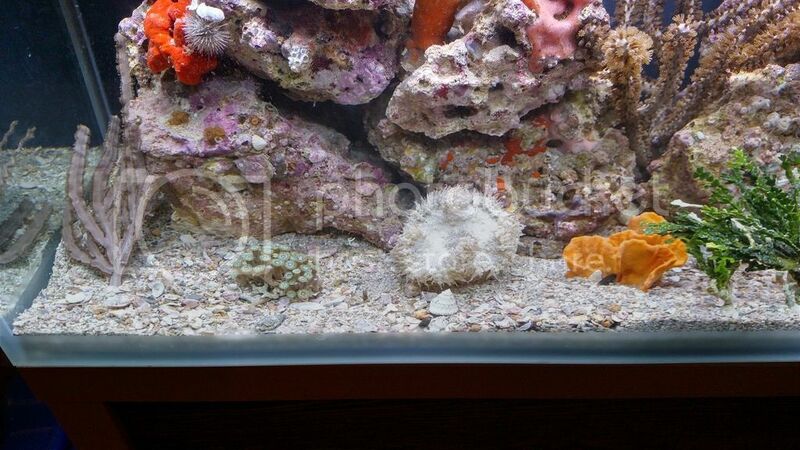 Are you afraid to get any unwanted critters in this rock/sand? I was scared to use this in my 300 gallon build, but I'm curious about it, so I may setup a 24 Aquapod an use only the stuff from the package and see what I get. Maybe do an atlantic/gulf only tank. Do mantis shrimp only hit the bottom of the tank or do they hit the sides too? I'd maybe like to use TBS "the package" to do a mantis tank, but I'd have to add starboard to the bottom of the Aquapod for safety. Any ideas or thoughts? The mantis shrimp that occur in the Gulf where I harvest the live rock are called wennerae, and one of the most interesting and docile mantis of the specie. The internet myth of mantis breaking tanks, especially the wennerae is just that...a myth. I have been doing this over forty ears, and never have I heard of them causing an issue with a tank. Other larger species/types could possibly be an issue, but one in a million from what I have read and Dr. Roy Caldwells experiences, and he is the ultimate guru of these critters. So there are no worries with wennerae. They are one of most interesting creatures in our oceans, and the demand for them is great in the hobby. Keep them fed, and you have a really good sand stirrer and most interesting creature. Is there a difference between the mantis that you get over there and the ones we get here? I am directly across the state from you and I've caught a few large "almost a foot long" mantis at the sand bar, and they really beat the crap out of a 5 gallon bucket. That's why I asked about them breaking the glass. If I did set up a 24 Aquapod, how many can I safely "for their health" put in? I did a little research and found out the Mantis we have here are Lysiosquilla scabricauda. They get huge. I'm going to do some more research on yours before I decide to set up an aquarium for them. It's for my 5 year old daughter, so I want something she can interact with. Like feeding them with a stick and watching them walk around the tank. I'll definitely use TBS when I'm ready, thanks for the reply. Your site says 50lbs of rock for 25 gallons, that sounds like a lot. I have 400lbs of Fiji rock in my 300 and it's pretty full, I couldn't imagine almost double that. Are yours dense boulders? Maybe that's the difference, mine is light branches. That's why we caught them, threw them on the BBQ with the lobster and fish we caught that day. 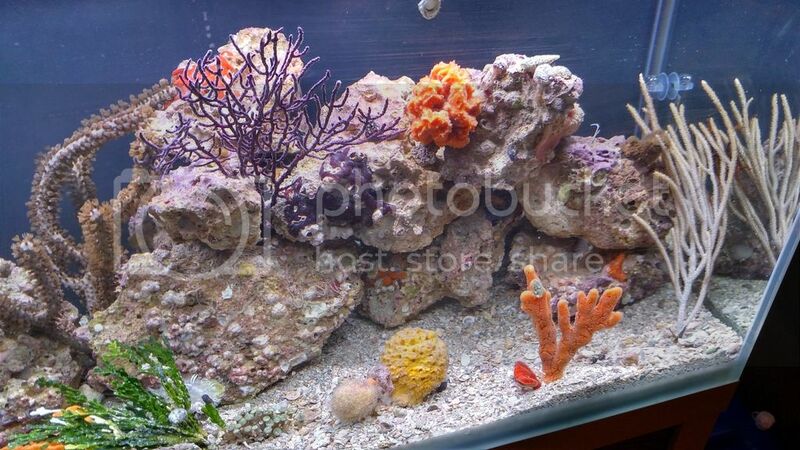 I had a tank prior to the current one with TBS Rock. I had a mantis shrimp and like Richard said, I kept him well fed and he never bothered anything in my tank. Was interesting to watch him scurry around in and out of the holes in the rock.